R&B and rock 'n roll infused with grassroots ideas and diverse soundscapes. ‘Moving to Brussels’ introduces the album with fierce force. Bhiman’s sound is soulful and funky, pulling some inspiration from the likes of Motown and Stax Records. In terms of comparing his sound to his other contemporaries, fans the Alabama Shakes or the Roots will find something to love here. ‘There Goes the Neighborhood’ is a beautiful track that toys with powerful lyrics. This moody, organ-based jam is catchy and remarkably well-performed. (The track has nothing to do with the 1981 Joe Walsh classic.) ‘Bread and Butter’ is one of the highlights of the beginning of the album, a track that exhibits Bhi Bhiman as an excellent lead vocalist. His music feels like R&B as much as it feels like rock and roll. This return to form is exciting: it’s wonderful to see artists like Bhi Bhiman championing a revolution of styles that haven’t been popular for awhile. ‘Bread and Butter’ also showcases another important element of this record: the fantastic backing band. They’re really on mark the whole album as they build layers of intricate intensity behind Bhiman. The definitive highlight of the first half of ‘Rhythm & Reason’ is the haunting ‘Up in Arms.’ The finger-plucked acoustic tune feels folk-oriented and lyrically focused. The stripped down composition accents Bhiman better than the other tracks, allowing him to occupy the spotlight in a unique way. When I read that he’s been compared to both Dylan and Springsteen, I couldn’t see the parallel. ‘Up in Arms’ is the first track where that comparison doesn’t feel off base. The bluesy ‘Death Song’ is another high-point for Bhiman, giving us insight into a darker, more atmospheric and mysterious sound. ‘The Color Pink’ continues Bhiman’s foray through intriguing lyricism. This subdued, electric rocker is easy-going and compelling. His music feels laid back and natural, giving it an authentic feel that’s absent among many of his counterparts. The subdued nature of ‘The Color Pink’ is quickly departed from on ‘Waterboarded (In Love).’ This wham, bam, thank you, ma’am rock track slaps you in the face with a Phil Spector-esque wall of sound. Bhiman’s enthusiasm and the varied and eclectic instrumentation shine here, something that extends to the stunning ‘The Fool’ as well. ‘Closer to Thee’ has a sense of finality to it, closing out the album with a poignant ballad. Bhi Bhiman’s style and approach to music is fresh and inspiring. It’s great to see the musical community beginning to reintroduce these R&B and soul-rock themes into the mainstream once again. 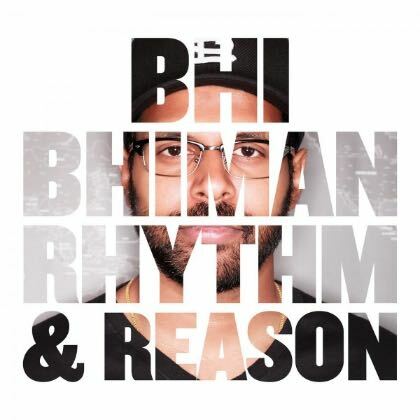 While Bhi Bhiman’s vocals may be an acquired taste for some, Rhythm and Reason is still a superb effort, one worthy of all the praise heading its way. It’s very much worth your time if you’re down for some soulful rock and roll with grassroots ideas and diverse soundscapes.